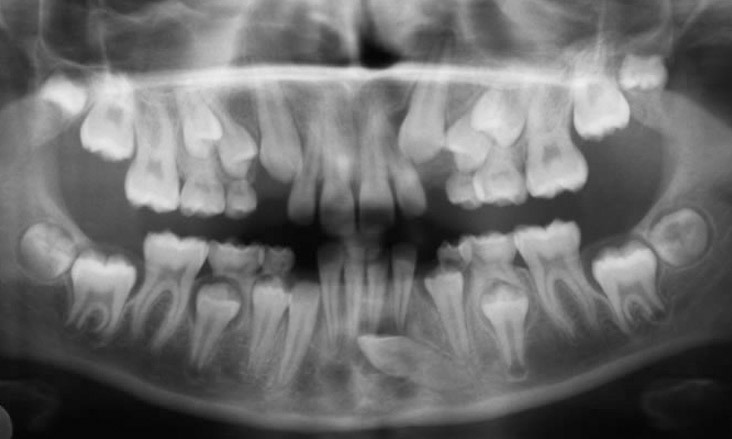 The lower left adult canine tooth (33) is horizontally impacted and unable to erupt as can be seen on the OPG x-ray. 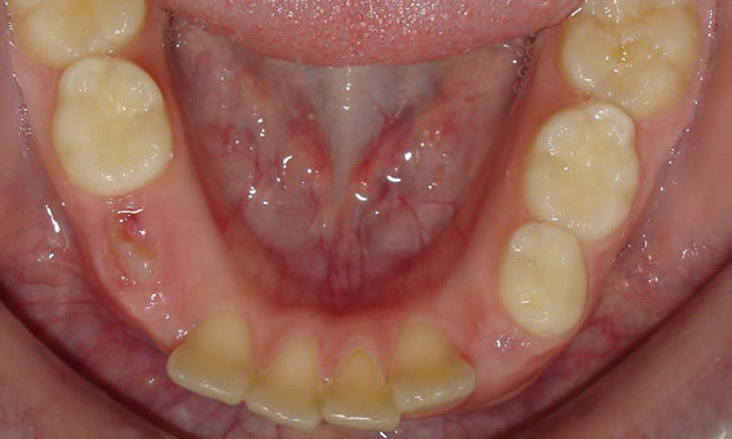 There is sufficient space for the 33 so the tooth was exposed by a Periodontist (dental specialist) with a fixed appliance placed to the lower teeth and traction placed to 33 to move it backwards. 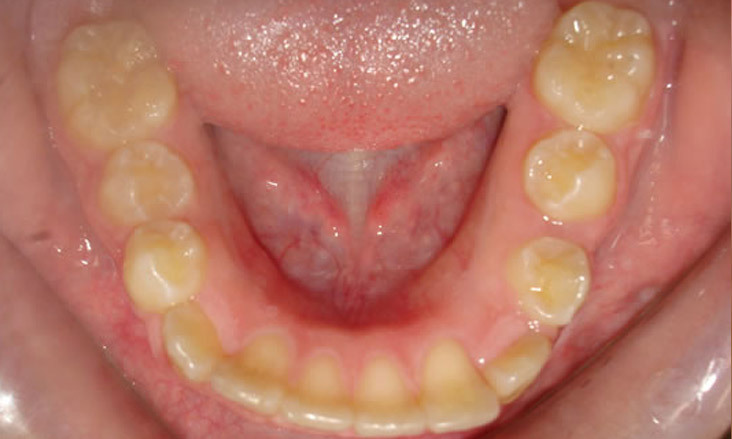 The 33 is now in a reasonable position. 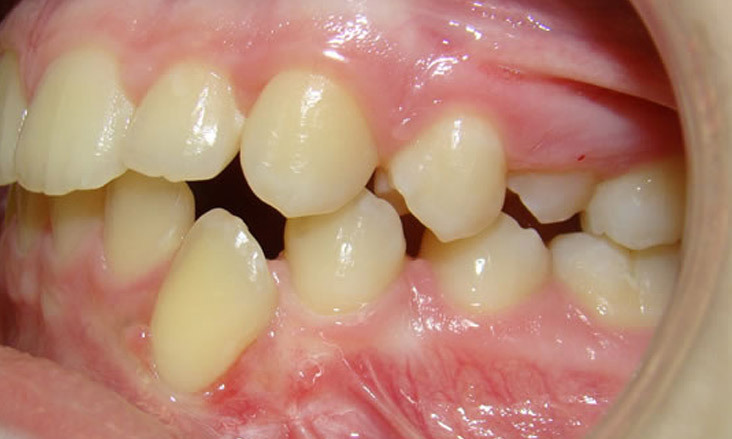 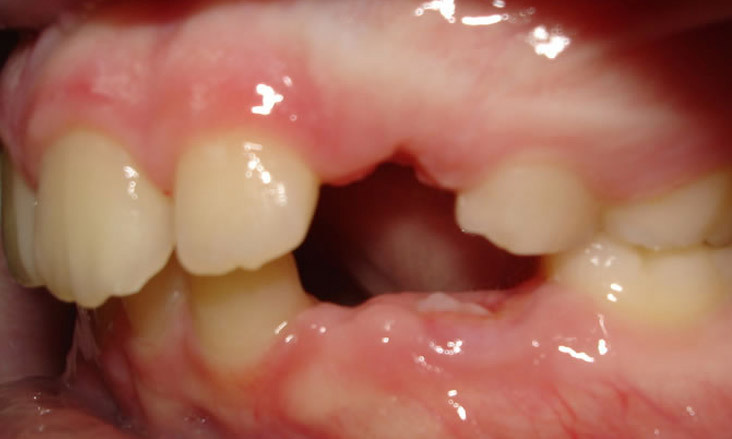 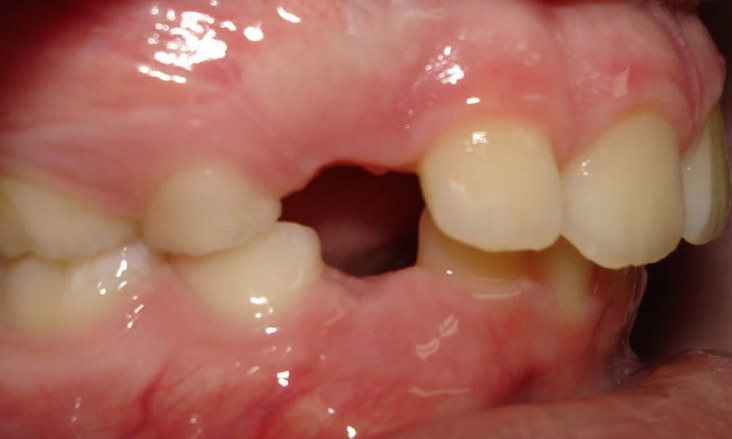 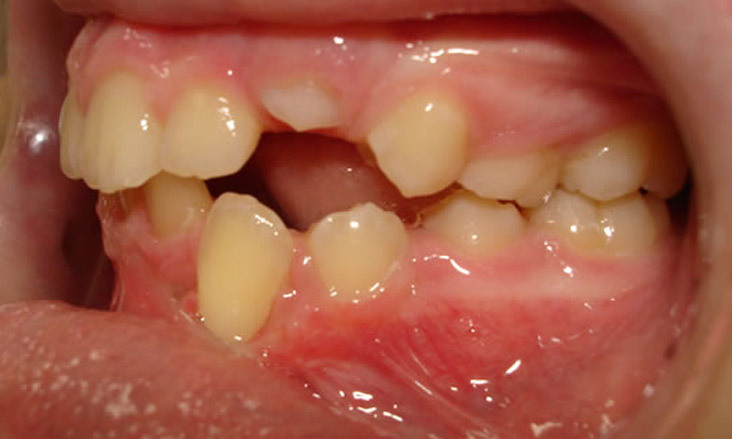 The appliance was removed to allow 33 to further improve in position by itself and also allow further dental development to occur as there are still deciduous (baby) teeth to fall out and permanent (adult) teeth to erupt. 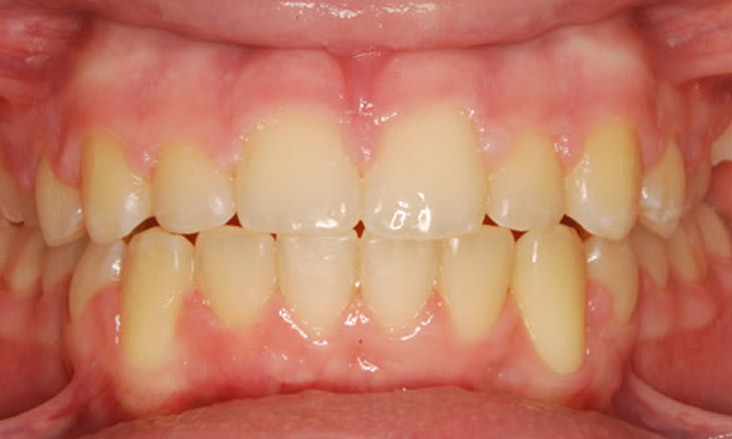 There are no more deciduous teeth remaining and we are no ready to complete treatment by placing braces to the teeth to provide the ideal appearance. 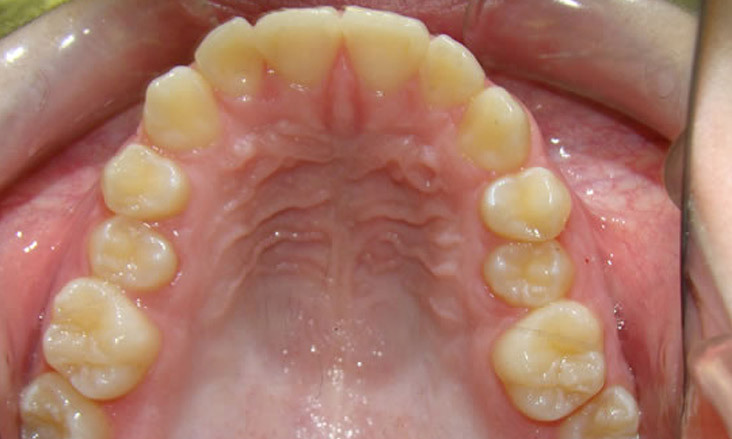 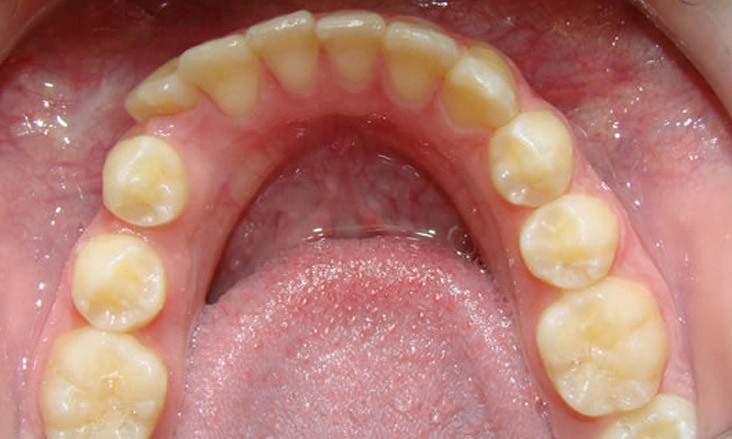 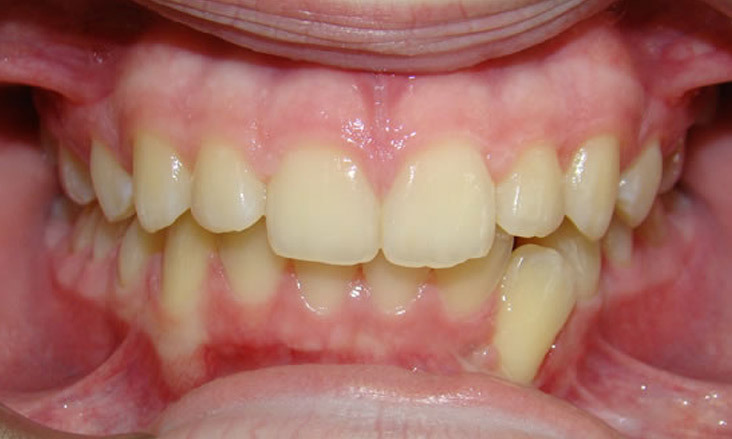 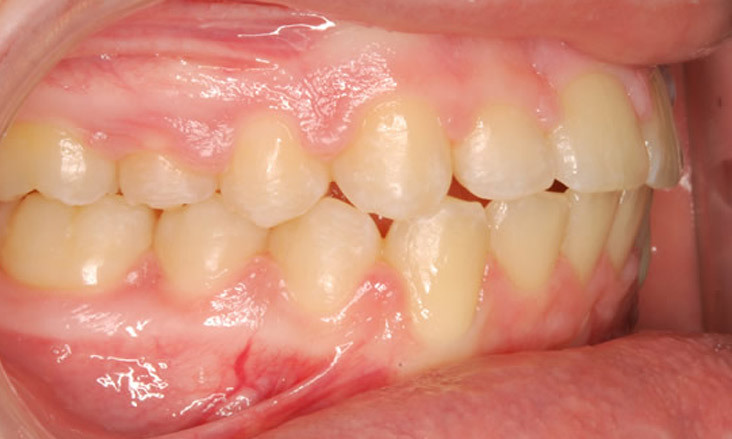 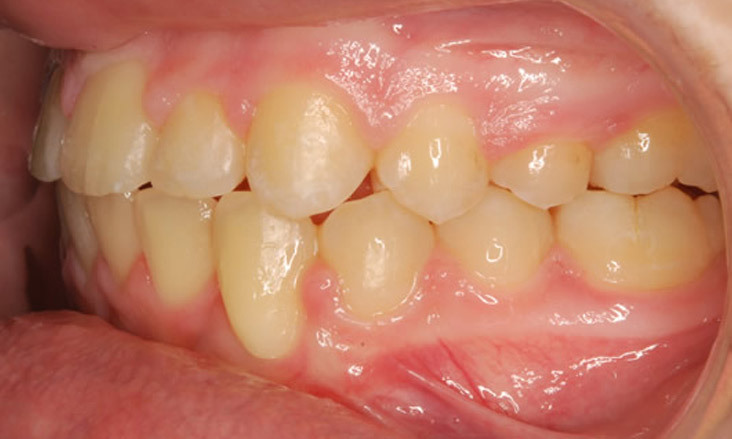 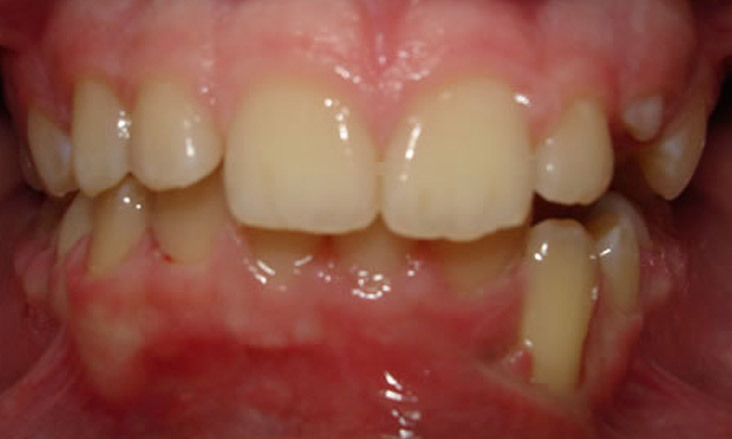 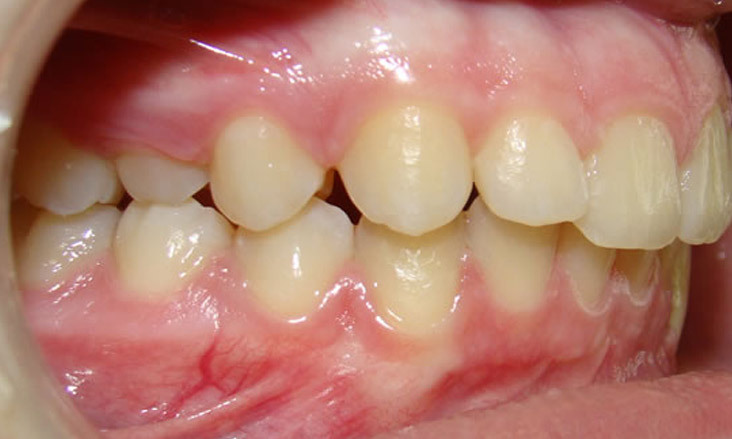 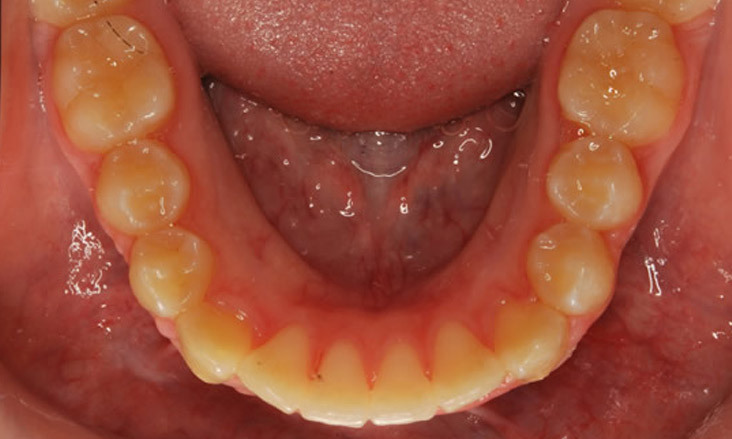 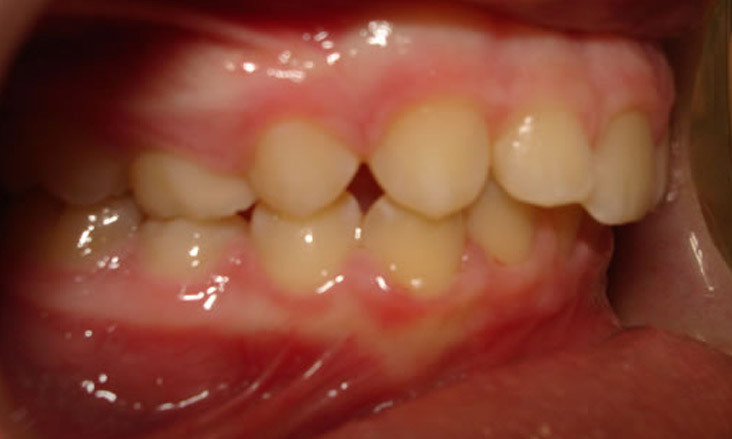 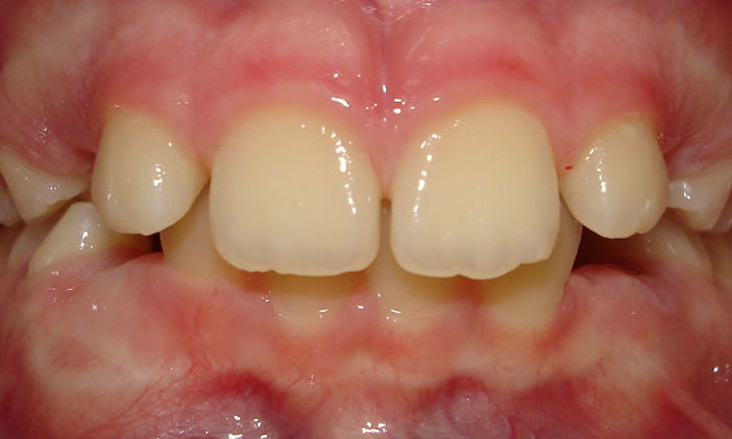 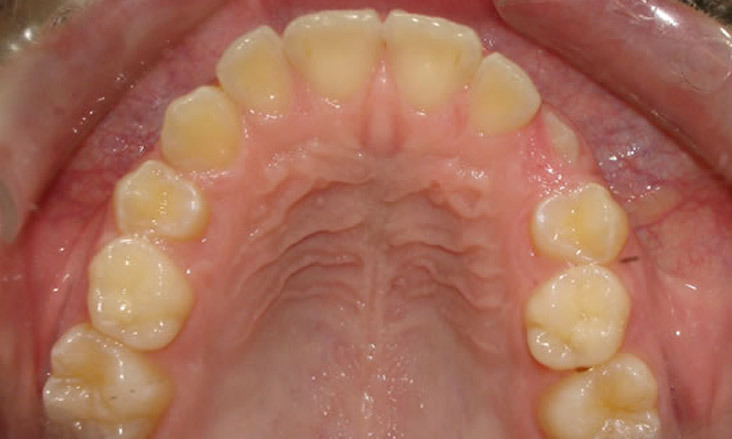 Braces have been removed and the teeth are now in an ideal position cosmetically and to enable function and cleaning.